… how is that I am only about 60% into the story, despite making sure that I’ve had a healthy spread of time given to side missions, screwing around and doing main missions? When I say 3 straight weeks, I mean anywhere between 3-4 hours every evening. You might see this as a good or bad thing. In this case, it’s all good. Seriously, this game is just so huge and detailed, and just when you think you’ve sort of reached a point in the story where it might start stagnating, or wants to start wrapping up it’s happy to just be like “YOLO, let’s do this now” and just surprises me with something else. What’s also crazy is that despite playing for goodness-knows how many hours now, I still have that feeling of wishing I spent more time screwing around, exploring, hunting or just seeing what the world has to offer. This is one serious package, and to think that at the time of writing the online modes still aren’t even live in any way. 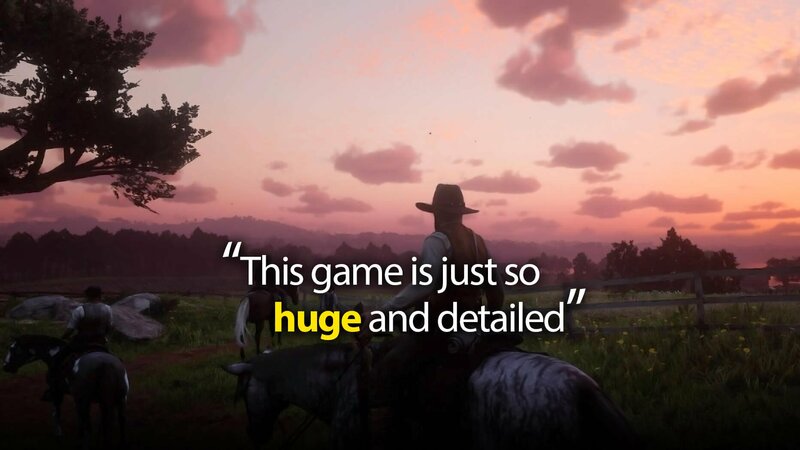 There’s a reason that people who don’t play that many games will dust off their machines for every Rockstar game, and that’s often because you can just go get lost in that one single product for a very long time – online or not. Let’s take a quick break for a bonus video clip from my playthrough. Now it’s no secret that some people find the game to be a bit too slow, but it’ just SO worth powering through the opening hours and all the controls and rules you have to learn. I don’t want to move on to any new games, I just want to play more and more and more and then when the online modes come out I’m gonna want to play that too. This reminds me of when I was a kid, and a friend’s parents allowed him to choose one game that they would purchase him to play for the entire December holidays (he chose X-Wing vs Tie Fighter that year by the way), this would be a great choice for just that. It boggles my mind that I get so bored with so many open world games these days, but with Red Dead Redemption 2 I feel like I want to book another month off from life to just go live in its world for an extended amount of time. I’m hoping the online modes are solid, I can see myself having fun in this world for a long time to come. 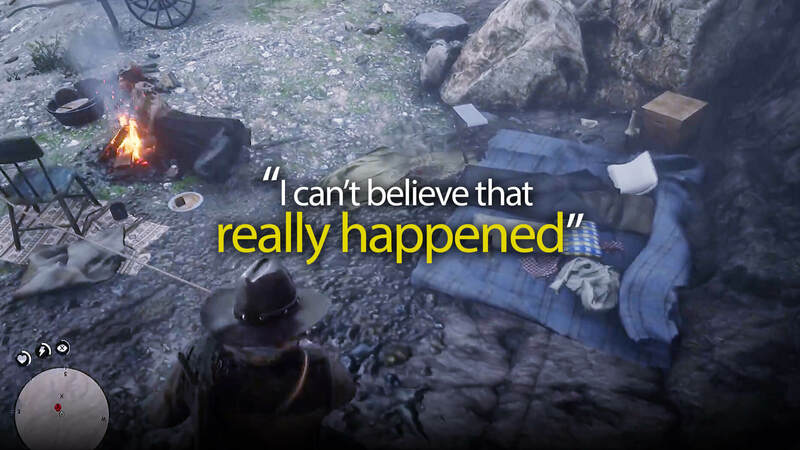 Hey, don’t miss our other RDR2 piece about how this game creates so many special little experiences that you’ll want to share with your friends. Visit by clicking here or the pic below! Keep an eye out for our review when we’re done!